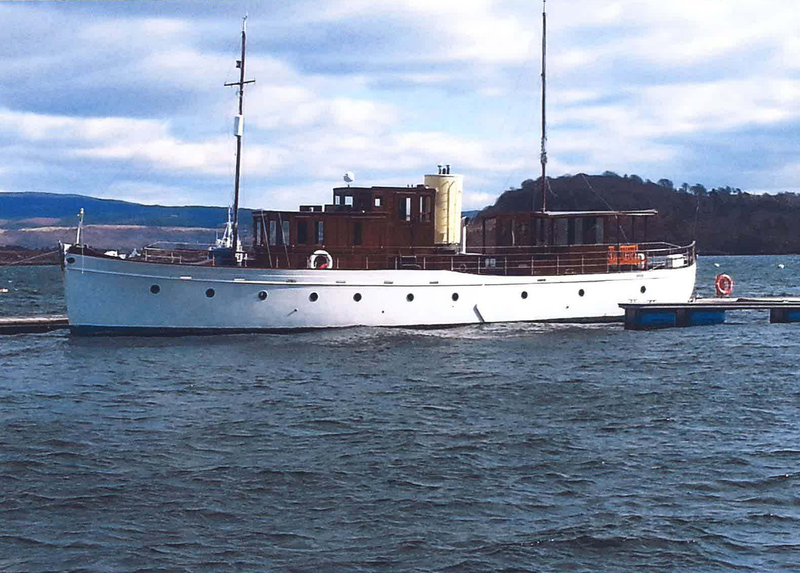 CORDELIA II was built in 1929 as a Gentleman's Yacht by the famous yacht builders Dickies of Tarbert, Argyll, for Mr John Anderson, a wealthy vegetable merchant from Cumberland. She was built to the highest Lloyds 100 A1 standard for the personal use of her owner and operated by a crew of four. She was built of the very best materials, Burmese teak planking on grown oak frames and bronze fastenings and fittings throughout and was powered by two Gardner 3J5 three cylinder engines, both of which are now in preservation, one being at Liverpool Maritime Museum. In 1939 Cordelia was requisitioned by the Ministry of War for harbour protection duties and operated primarily in the Clyde estuary on submarine patrol duties. In 1946 she was repurchased by Mr Anderson and remained in his ownership until the early 1950s. She was then bought by Mr Cedric Pochin who kept her in North Wales. He re-engined her with twin Gardner 5L3 90hp engines, sea water cooled , which still power her now. These engines idle at 200 rpm and have a maximum of 850 rpm, Cordelia a cruising speed of 10 knots. In 1981 Mr Pochin died and Cordelia was bought by Jim and Rhoda Gill and taken to Devon where she was based until 2002 whenshe was purchased by Alistair and Eleanor Hammond. Alistair and Eleanor carried out a sympathetic restoration programme including the fuel and electric systems. In 2005 they sailed her to France to take part in the famous Brest International Classic Boat Festival. Also in 2005 Cordelia took part in the Royal Spithead Revue before the Queen to celebrate 200 years since Trafalger. They were unable to complete the restoration and she remained for some years in the Thames esturary alongside the Chatham Maritime Museum. The present owners found her there in 2011 and quickly realised that, while she was cosmetically in a very poor state she was fundamentally very sound. 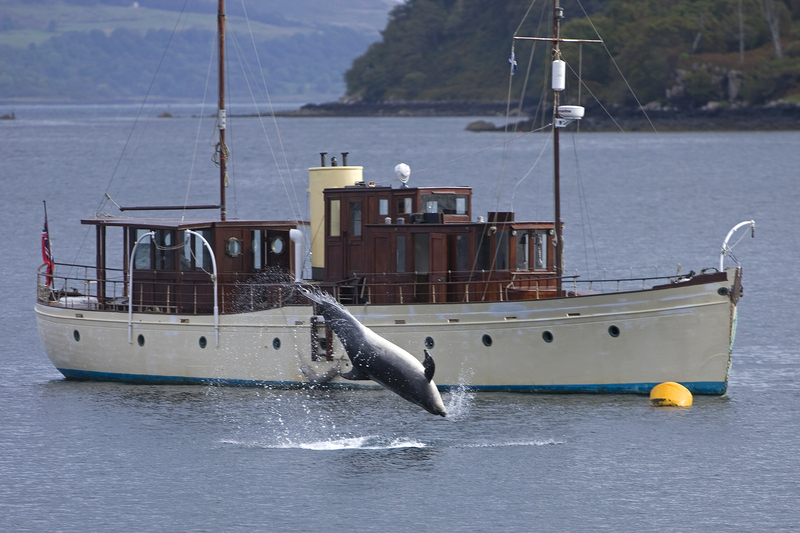 A comprehensive survey confirmed this and, after basic preparation, she was able to sail under her own power up the east coast and along the Caledonian Canal to her new base in Tobermory, Isle of Mull. Renovation work required for a commercial certificate to enable her to carry passengers is being carried out though much remains to be done.